I have a mixed relationship with beer styles. 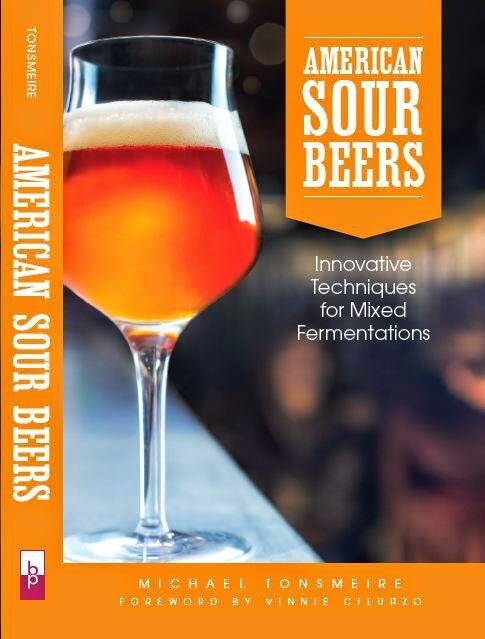 As much as I think they stifle creativity, and convince people to brew/drink beers that don't suit their tastes perfectly, they are also a wonderful guide to which combinations of malts, hops, yeasts, and techniques have been found to work. Rather than start off every batch with a completely original thought or with my target set squarely on one of the 74 styles recognized by the BJCP (not counting the six "open" categories), sometimes I take an established style and give it a twist. This might take the form of swapping the hops (Riwaka-hopped hefeweizen) or changing the yeast strain (barleywine second-runnings lager). For this batch I made a second attempt at a concept I first brewed a few years ago, a Scottish ale with extra roasted barley, a 90 Shilling Stout. That first batch yielded a decent result, but relying solely on boiling down the first runnings to a syrup proved insufficient to create the bold caramel maltiness and body I expect in a Scottish ale. So for this batch we (I brewed with my good friend Scott - who you might remember from our Smoked Roggenbier) opted to add 8% British caramel malt. I'm trying to be better about noting exactly which malts are used in my recipes. In some cases the maltster-to-maltster differences are quite significant in terms of color and flavor. I happened to have one pound of a few different versions of roasted barley on hand, so Scott and I had a tasting to pick which ones we wanted to use. We opted for mostly Muntons, along with a bit of Weyermann for its sharper, more acrid notes. The Briess was too pale and mellow for this beer. In addition to the changes to grain bill yeast (ECY Scottish Heavy previously), the only other significant alteration from the first batch was the addition of a small amount of oak to the primary fermentor. When oak is exposed to fermentation (compared to oak aging) an additional flavor compound is created. In On Food and Cooking, Harold McGee describes furfurylthiol as having a coffee-like flavor. Hopefully this add a bit of the rustic charm that the Traquair House beers absorb from primary fermentation in ancient oak vats. Expect tasting notes shortly as this one has already been on tap for nearly a month. 1.50 oz. Perle (Whole, 8.85% AA) @ 60 min. 1.00 tsp. Yeast Nutrient @15 min. 12/28/13 3 L stir-plate starter made with 2 month old yeast pack, started quickly. Brewed 12/29/13 with Scott in the rain. 2 g of CaCl added to both the mash and batch sparge. Boil 1.5 gallons of first runnings down to a syrup, ~1/2 gallon. Added back to the rest of the wort at flame-out. 60 seconds pure O2 after chilling to 65 F.
Added steamed honeycomb oak to primary. Left at 60 F ambient to ferment. 2/13/14 Tasting notes. The caramel flavor from the malt gave it much of what the first batch was lacking. The body is fuller as well, but it could still be a bit thicker. Maybe some flaked grain next time around? Mike, Scottish Stout is an amazing "style-collision". I was wondering why no Black Patent or British Black Malt? When formulating recipe, what do you critique Roasted Barley versus Black Malt? Looking forward to the tasting notes. It grew out of the fact that Scottish ales traditionally have a small amount of roasted barley for color. I actually find the flavor from roasted barley, chocolate malt, and black patent to be more dependent on the color (Lovibond) than whether or not the grain was malted. I try not to get too complicated with the roasted grains, too many and a beer tastes more generic. Picking one or two keeps things cleaner and more interesting in my experience. I am definitely going to use the 'fermentor oak' trick soon. I was hoping this was going to be about real Scottish Stout. Now they really are crazy beers. Scottish Ales do not - at least not any of the several thousands I've seen - contain roasted barley for colour. They were coloured with caramel. Hey Mike, Just wondering about the Simpsons carastan malt. Can't find any info about it at all. What is the lovibond, and do you know a good replacement? Cheers! I know peated malt isn't traditional, but I wasn't aware that the roasted barley bit was questioned (BJCP, Horst Dornbusch, Kristen England, Ray Daniels etc. all note that either roasted barley or black malt is/was a part of coloring some traditional examples of the style). Carastan is mid-30s SRM. Straight caramel. You could go Briess C40 or MFB CaraVienna, but there is no perfect sub. FG is 1.019, but it could actually use just a touch more body. Porter and Stout were about the only styles Scottish brewers used any dark malts in. Most of their beers were just pale malt, corn grits and caramel. The traquair house ale you mentioned in your post definitely uses a bit of roasted barley (in addition to open fire caramelization) to add color and depth to the beer, same for their Jacobite ale. I can't find a direct citation for that, but I've seen several mentions that they use either roasted barley or black malt for some of the color.